Truck Driver Qualifications : Farrow & Pulice, P.A. Home » Blog » Just How Qualified Are Florida Truck Drivers? Commercial truck driving is a dangerous occupation. That's why federal law requires these vehicles to be operated only by those who hold a commercial driver's license. There are also additional regulations that apply to restrict the number of hours an operator can drive before he or she must take a rest break. These and other important federal regulations are put in place to protect all road users from the dangers posed by an unsafe or unqualified driver. Unfortunately, some drivers and transportation companies violate these rules for their own financial gain. 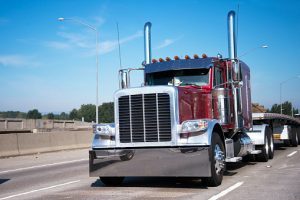 A trucking school or transportation company that puts unqualified truck drivers on the road may be liable for accidents that occur as a result. Truck accident victims should consult with a Bradenton truck accident attorney to ascertain their legal rights. According to The Drive, one Florida driving school has been manipulating its commercial driver's license test results for over a decade. State officials found that test results dropped dramatically from a 60 percent pass rate to a mere 11 percent pass rate when representatives from the Florida Department of Highway Safety and Motor Vehicles were present at testing sites. In response, the state terminated its contract with the driving school, stating that the school's practices posed an immediate, serious danger to public health, safety and welfare. Not only is the state refusing to certify the school for future testing, but it is also reviewing current license holders who tested at these facilities. Current holders of commercial driver's licenses who tested at the school must retake and pass the driving tests within 60 days or have their CDLs suspended. The initial investigation and actions against this school revealed even more disturbing trends behind the scenes. When reporters attempted to contact the driving school, the call was redirected to a marketing firm in Troy, Michigan that markets online educational programs to increase enrollment. The marketing firm does work with CDL programs but denied having done work for the questionable Florida driving school. Meanwhile, the Department of Highway Safety and Motor Vehicles issued a press release in which it accused the school of "rampant manipulation of information and data." Who is Responsible for an Accident Caused by an Unqualified Truck Driver? Unfortunately, this is just one of many examples of how Florida road users are placed at risk when commercial transportation companies fail to adhere to important federal regulations. In some cases, truck drivers have been known to falsify their federally required mileage log to squeeze in extra miles and thus increase their pay. Transportation companies have even been known to encourage this behavior from their drivers to increase profitability. This behavior can make the company legally responsible for an accident that its truck driver causes. Similarly, a transportation company that hires an unqualified truck driver or ignores questionable qualifications such as testing from a disreputable driving school may be held liable for an accident caused by an unqualified truck driver. An unqualified truck driver can cause extensive damage and financial loss to accident victims. When this occurs, there are many individuals and companies that may be liable for the accident. A Bradenton truck accident attorney can help victims access the compensation they deserve for their injuries and financial losses.